You’ve got the playbooks printed. The players will be there. 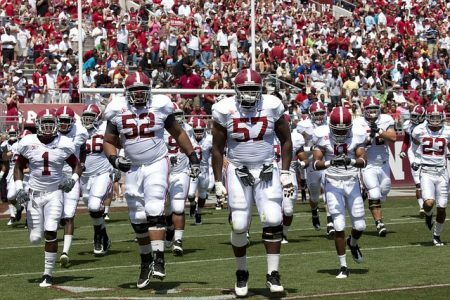 Are you ready, coach? This week in The Football Coaching Podcast we’re looking at preparing for those critical pre-season practices. Getting your team ready for Week 1, when it really counts. Everyone wants a cookie cutter answer to installing your offense or defense. It’s not that easy. You can’t just run practice plans someone hands you. It’s the same as running a playbook you download from the internet with no understanding of the How or Why. This episode shares my 4-Step Blueprint for Pre-Season Practice Planning. I’ve established the four main goals of pre-season practice, and then put together a framework for planning how to get all of this in. 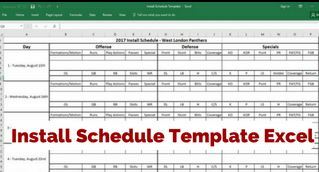 Install Schedule Template Excel from Coach Luke Reeves . He sent this template in for other coaches to use to go along with the podcast. Click below to download.